My Credit Cards, Hotel reservations, Sunglasses, dry snacks...Oh how can I forget my Road Map... The list was running into pages as I was getting ready for an exciting road trip to Kolhapur for taking the blessings of goddess Mahalaxmi. This was for first time in our life that my sister Neela and I were planning for an adventurous road trip. All thanks to the movie Zindagi na Milegi Dobara. We were very excited about the road trip, the lure of the open roads filled with greenery, the rains and most importantly, the promising getaway from our routine lives of packing lunch boxes for our kids and grandchildren. On the day of our trip, Neela arrived with a huge hand-bag. 'What all is there in this huge bag?' I asked her. Nothing dear, just some snacks and empty bags for shopping, she replied. I smiled. Till then our driver also arrived. First, I checked my petrol tank, it was full. We boarded in my car and the much awaited road trip began. We prayed to Ganpati Bappa for a safe journey. Both of us were very excited. It was raining lightly; the streets of Mumbai were wet. Our car was filled with the freshness of Godrej Aer air freshener. Being a Saturday morning, we were enjoying the rains on the relatively empty roads of Mumbai. I then realized that the air freshener was on the verge of getting over. So I asked my driver to stop the car near a shopping mall to buy some more Godrej Aer Air Freshener and other articles. We entered the Air freshener section. There was a pretty pregnant sales-girl who showed us the Godrej Aer Car Air Freshners like Godrej Aer Petal Crush Pink, Cool Surf Blue etc.. I picked up Petal Crush Pinkas it would render a unique fragrance to my car. The sales girl thanked me for shopping. Being curious, I asked her, "Which month?” she said, "Sixth month." "Bye take care," I said. We then left the mall and boarded into car again. "Did you observe that pregnant Sales Girl? I am sure she is going to deliver a baby girl." Neela told me. "But how can you be so sure about that? I questioned. "You didn't observe her carefully Nandini. Have you seen her face, she was looking so fresh. Even her baby bump was not visible near the front but was visible from the back. So she is definitely going to deliver a baby girl. I can bet on it." Neela was very excited. She continued, "You know, but my daughter-in-law is going to deliver a baby boy. I am very confident about that. This is her first time and I want a grandson." Again I questioned, "How can you be so sure that your daughter-in-law will deliver a baby boy?" Neela continued, "My daughter-in-law, Sonali is always tired. She is not able to do household work like she used to do." I said, "It’s okay Neela, she is pregnant, how can you expect her to do house hold work?" Neela continued, “And you know, her baby bump is clearly visible from the front, but you will not be able to make out that she is pregnant from the back. Also, she always has craving for sweets. If you crave for sweets, then the chances of baby being a boy are very high". Neela was very excited about her discovery. 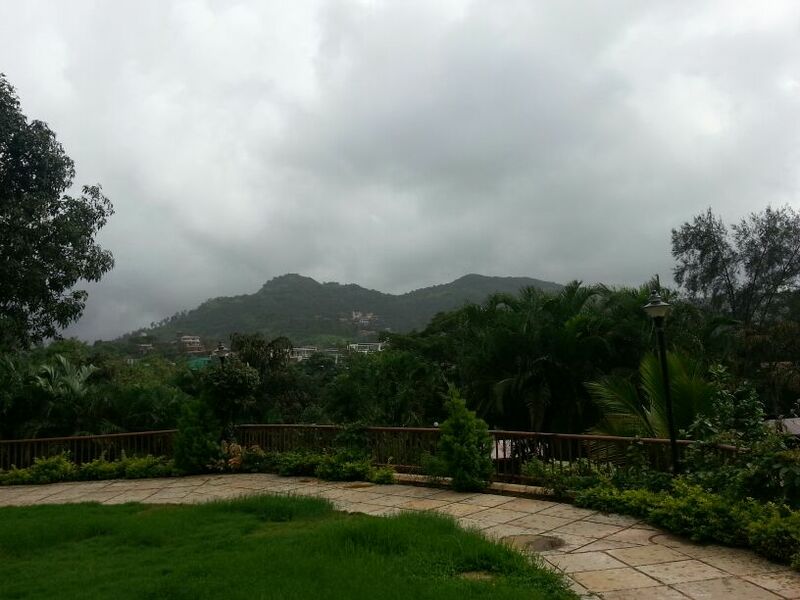 We realized that we have crossed Mumbai and were amidst a lot of greenery. We asked the driver to take through Pen village, as we wanted to have the delicious "Potato Vada" of Pen village. We stopped near a small restaurant and ordered "Potato Vada" and Coffee for breakfast. The Vadas reminded us of our childhood days when we used to savor Batata Vada with our parents while going to our native. We relished the vadas in the company of a mild rainfall. After Batata Vada break, we boarded the car again and realized that there was some bad odor in the car. I realized that my driver was smoking in the car. 'Kya aap smoke kar rahey the? 'I asked the driver. "Sorry Madam, galati ho gayi. I will not smoke again," the driver replied. I could notice some tension on his face. So did not say much to him. I opened my car windows and there was a lady selling Sonchafa flowers (Plumeria). We bought some flower and the car was filled with the pleasant fragrance of Sonchafa it refreshed us again. I wish Godrej could come up with such a pleasant fragrance of Sonchafa. Our car was moving on the roads near Khandala and Lonavala. The roads were filled with number of waterfalls. People were getting wet under the waterfalls. We asked driver to halt. The road was full of gushing waterfalls and greenery. The climate was pleasant. There were dazzling lakes and a very breathtaking view. We started capturing the greenery in our camera. We again boarded the car and continued with our journey. We captured lots of scenes in our cameras and our hearts. Since the mud was wet, we could experience a cool Muddy fragrance of rain which was very pleasing. I wish Godrej could come up with such a pleasant fragrance of first rains. Our car was moving fast. We then stopped at Wai for our Lunch break. We indulged into Village delicacies like Zunka Bhakar and Thecha with raw onion & green chillies. It was heaven for us. We invited our driver also for lunch, but he refused saying that he may feel sleepy during driving. He continued smoking sitting under a tree for a while. I observed that he was a bit stressed. After having the delicacies, we started with our road trip towards Kolhapur via Satara. My driver’s phone was ringing in between. I asked him not to talk on the phone while driving. Again the mobile rang, but this time it was my sister Neela’s mobile. It was my nephew’s call. She sounded very tense but then calmed down. “Please keep me posted and take care. We will return at the earliest.” said Neela and she disconnected the phone. “What happened? Anything serious?” I asked Neela. “Nothing serious as such, but Sonali has been admitted to the hospital now. But Neil assured that there is nothing to worry. Sonali may deliver the baby any time. So we need to rush back to Mumbai then.” Neela said. “But her Expected Due Date is after 15 days, hope everything is fine?” I asked her. “Hey, this is one of the symptoms of delivering a baby boy. When there is a baby boy, the delivery is before the EDD and if it’s a baby girl, then it is after the EDD. I can bet with you now, Sonali will deliver a baby boy. Thank god, nobody in the family has delivered a baby girl yet. I am going to call my sister-in-law first once Sonali delivers a baby boy. I want to prove her wrong, who predicted grand-daughter for me.” Neela was very excited. “Tell me, what happened?” I asked him. “Madam, my sister is standing on the road with her children, but not getting any bus since past one hour. Can we give her a lift? Her home is on our way. She has to visit a hospital, which is only 7-8 kilometers from her house. If you don’t mind, I will give her a lift till the hospital.” He asked me. “No problem,” I told him as it was a question of only half an hour. After some time, I saw a girl in her early 20s standing with her two daughters on the road. My driver stopped the car. She entered our car and was trying to fit her two daughters in front seat. “Please send the children to back seats, there is ample space here.” I told my driver. His sister smiled at me and asked her daughters to go and sit on the back seats. The two little girls were very cute. “Baby, what is your name”, I asked those cute little girls. “I am Manu and she is Babu”, the little girl replied. “The elder one is 4 and the younger one is 3 years old” she said. This time I observed her face. She was looking very weak and pale. The journey continued, and our driver stopped the car near the hospital. His sister got down along with her daughters. I gave some chocolates to her daughters. Our driver gave some money to her and we continued our journey. “Who has been admitted to the hospital?” I asked my driver. “My sister herself is going to be admitted.” He replied. “What happened to her? And her husband has not accompanied her to hospital? I asked him. He was reluctant to disclose anything to me. But me and my sister bombarded him with lots of questions. “She is 18 or 19 weeks pregnant and going for an abortion in this hospital. Her husband or in-laws will not accompany her as they are very busy and most importantly there is a baby girl in her womb. Since she already has two daughters, they want only a Baby Boy” Driver was telling us with lot of pain. “Oh my god, this is so cruel. We are living in the 21st century. One should not differentiate between a baby boy or girl. Both are equal in today’s world.” I replied. “Madam, we are poor people and she already has two daughters. The girls will marry and go to their in-laws place, but we can depend on our sons during old age. My sister got a strict warning from her in-laws for a son this time” said my driver. “My sister’s mother-in-law is very knowledgeable like you Madam, she also can find out whether there is a baby boy or girl in a mother’s womb. This time she realized that there is baby girl in my sister’s womb and asked her to get it confirmed and aborted.” Driver replied to Neela. We were heading towards Kolhapur. Both of us were looking at the view outside. There were sugarcane fields on both the sides. But it was looking sad. Then Neela’s phone rang. She smiled and disconnected the phone. “Sonali delivered a baby boy and both are safe” she said. “Great, Congratulations, should we return back to Mumbai immediately?” I asked Neela. “No I want to take Mahalakshmi’s darshan as it’s not very far from here.” She said. I found that there was no excitement on Neela’s face, even though she was looking very happy. 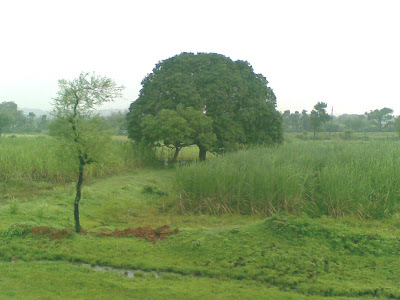 We were now experiencing the stunning beauty of Kolhapur, with its flowing rivers and rivulets. The ancient monuments were carrying their age with elegance. We reached Kolhapur near Mahalaxmi’s temple. It was evening time. Neela bought sweets and ‘Oti;’ of Saree & Coconut for goddess Mahalaxmi. There was a small ‘Gurhal’ near Mandir, where we had Sugar cane juice. 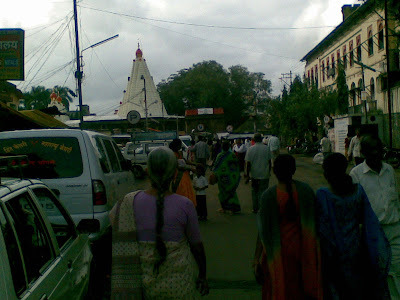 Then our car headed towards the Mahalaxmi Mandir. Since Neela had to follow “Soyar” of child’s birth for 10 days she asked me to go inside the temple and perform pooja. While entering the temple, she called me back. “Nandini, can you pray for a granddaughter for me?” she asked me. I smiled and went inside Goddess Mahalaxmi’s temple. However, I changed Neela’s prayer a bit. “Hey Goddess Mahalaxmi, next time Neela and me both want to come along with our granddaughters for your Darshan.” I prayed. We boarded our car for a return journey immediately. The journey was truly very memorable as it changed our mind sets.